Our innovative care management strategy centers on the primary care component of health care. 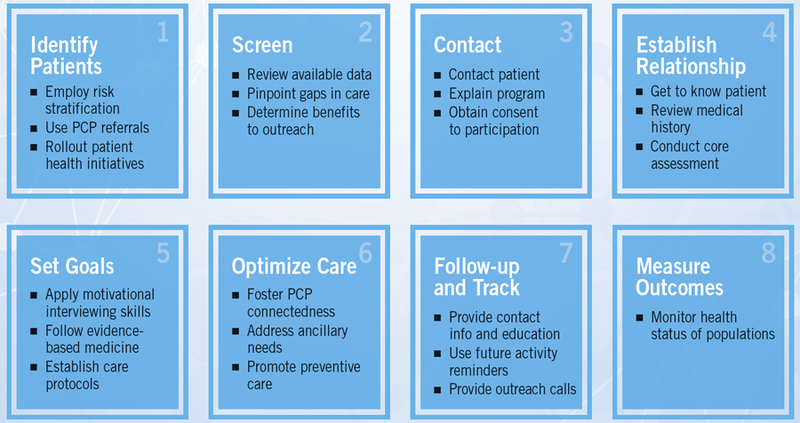 It is critical that primary care providers are connected seamlessly with all network providers, each with access to the tools, tactics and resources they need to provide the right care, at the right time, in the right setting. This technological connection allows providers to make well-informed clinical decisions. We touch every aspect of our patients’ health by maximizing their experience with providers at all levels of care, and focusing attention on optimizing health, versus illness and disease. Population Health Management: Our proactive application of strategies and interventions to defined groups of individuals across the continuum improves the health of those individuals at the lowest necessary cost. To join, simply call 844.804.8725 or complete the online form. A CHI Saint Joseph Health Partners representative will contact you soon.